The below pages are from Volume 2 of Weekly Shonen Jump. The first page shows some shots from the movie. Also it shows that Aokiji will appear in this movie. More information on the movie can be found on its official site which is shown on the page below. 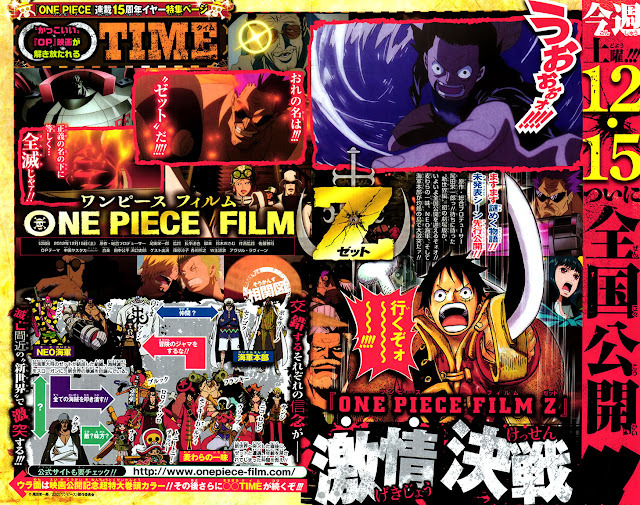 "More and more companies are jumping to the One Piece Film Z merchandise bandwagon. One of them is Bandai and their Figuarts ZERO product line. 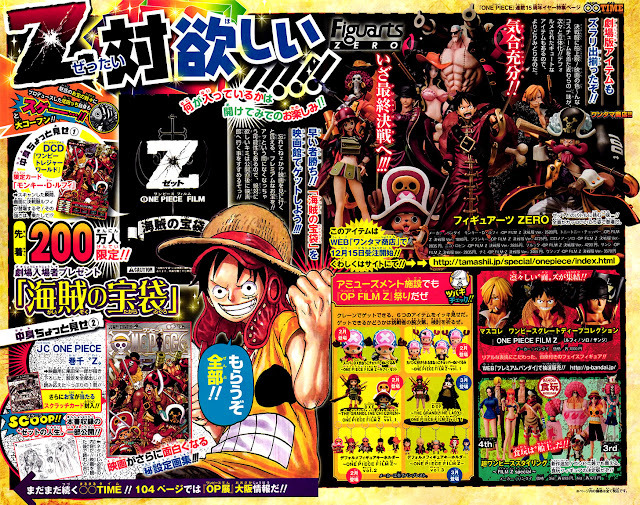 They have already announced that they will be releasing Figuarts ZERO based on the character design of One Piece Film Z starting with Luffy and Ain." The limited edition "figuarts" are shown above and will cost about 2100 to 2800 Yen each. 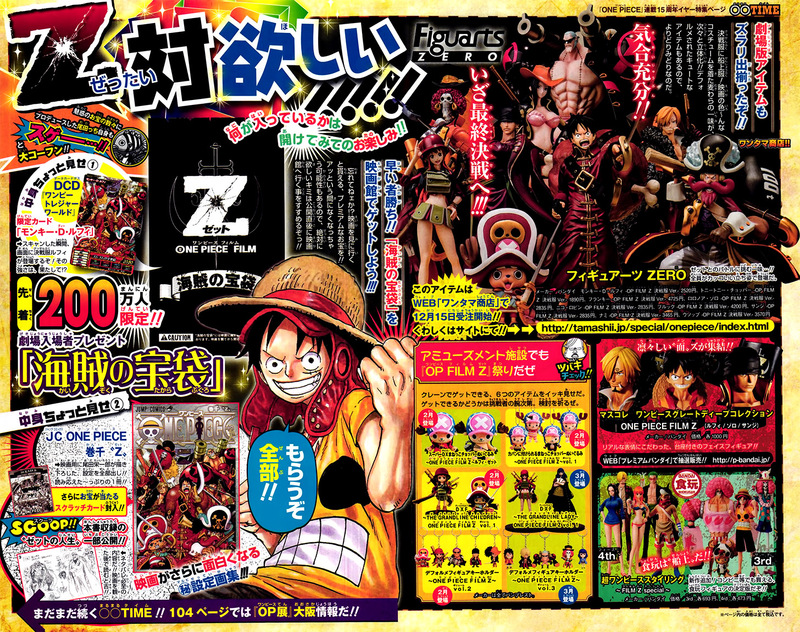 Also shown on this page is One Piece Volume 1,000. Only 2 million attendees of the movie will receive this 84-page special volume that contains designs of the movie and includes an exclusive One Piece Treasure World card.